Newspaper Scrolls included for both mailboxes. "This mailbox is absolutely beautiful! I have been looking for the perfect mailbox and I do believe we have found it! We bought the hand rubbed bronze finish which compliments the doors and brick on our Tudor home. 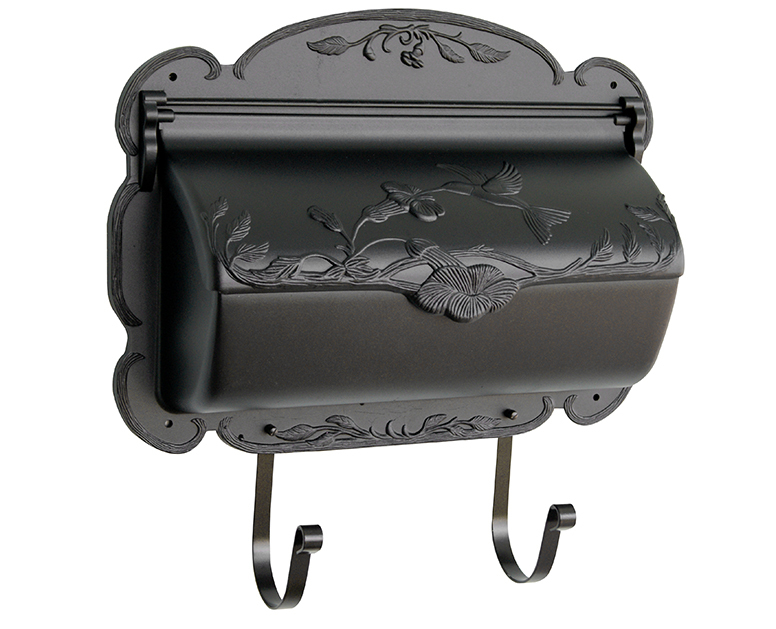 I have priced mailboxes locally that are twice the price and can't compare to the design, detail and workmanship. Needless to say, it was on the house within an hour of receiving it. 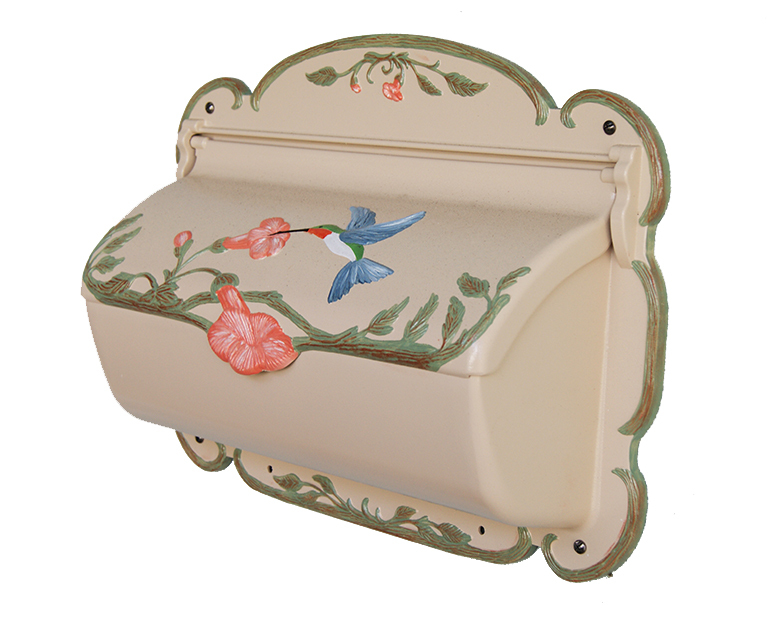 Thank you for such an outstanding product......"
"I'm very proud of my new Hummingbird Mailbox. It is a good size and looks quite elegant and cute in the entryway of my beach cottage. I like the design a lot and the bright white shiny finish is very pretty." Great Quality, Sure Dresses up My Home! "Holds plenty of Mail and Magazines. Protects from all kinds of Weather. Should last a lifetime. Well worth the Cost. Great Value. 100%"